Looking for an easy yet impressive way to burn your photos to DVD or share photos online? 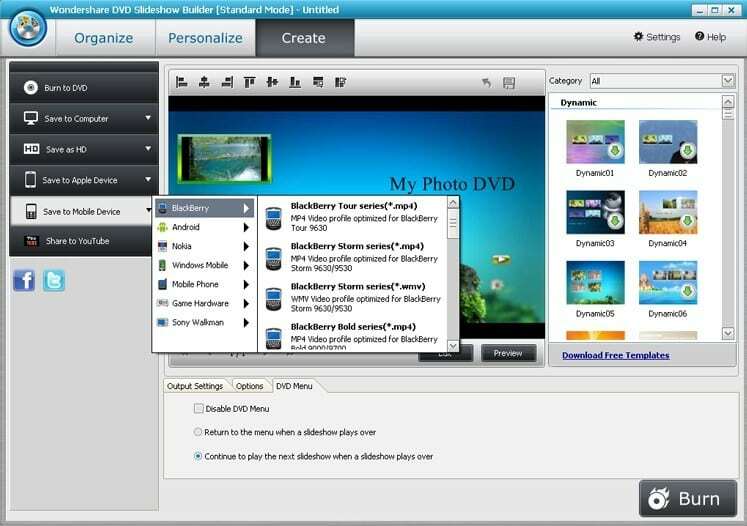 With Wondershare DVD Slideshow Builder Standard, literally drop-in your favorite photos and music, add built-in cinematic effects with a click and instantly create a compelling photo slideshow complete with title menu, soundtrack and even special effects. Click to edit, add templates, filters, etc. Wondershare is holding a Giveaway of Full Version for their user’s. For more information and rules, visit this PAGE.